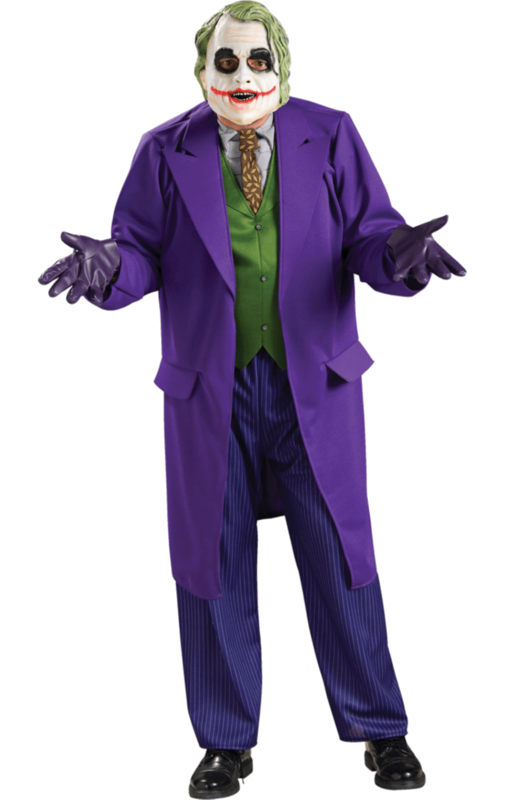 Our Adult The Joker Complete Costume is based on the outfit worn in hugely successful Batman – The Dark Knight. Heath Ledger won an Oscar for his portrayal of this ultimate film baddy with his smudged makeup and messy black/green hair. This Batman themed outfit would make an ideal Halloween costume or movie themed costume. 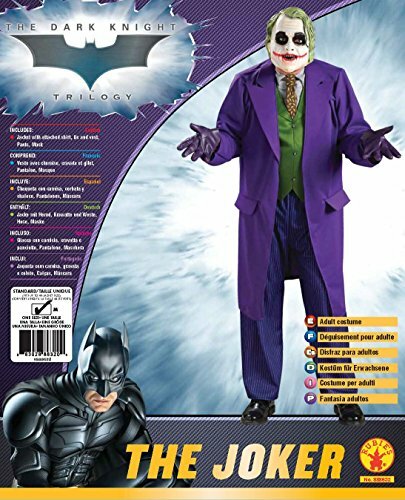 This Joker costume includes the trademark long purple jacket with attached waistcoat front with button detailing and faux shirt and tie panel at the neck. This jacket ensemble is fastened with Velcro at the back to ensure a comfortable fit. 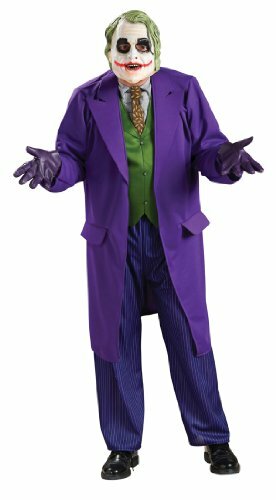 Also included with this Joker outfit is a pair of coordinating purple pinstriped trousers with fully elasticated waist, perfect for a variety of sizes. The terrifying separate mask is worn on the front of the face and is done up with elastic at the back of the head. There are wide eye holes and two small breathing holes to the nostrils. There is a small slit in the mouth which may fit a straw through otherwise you would need to remove this mask for drinking purposes. 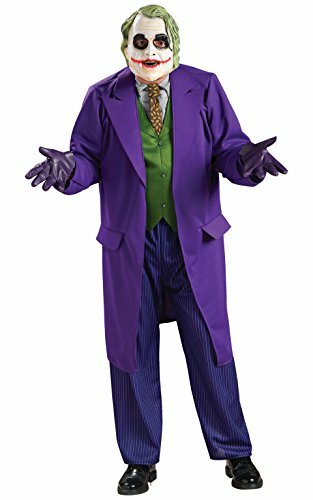 Add a pair of Joker gloves to complete the Joker look.